This IMMACULATE, 4 bedroom/3bath GOLF COURSE frontage home with LAKE VIEW is located in the charming GATED community of Spring Glen. Spring Glen is a sub-community within Glen Abbey and is well maintained, warm and welcoming and has its own community POOL with a ‘gathering place’ for residents to enjoy. When you walk into the foyer of this home you will immediately appreciate the sense of space and will recognize that this is a home that has been cared for with love. The warm wood floors, high ceilings, crown molding and open floor plan are just a taste of what this home offers. The large kitchen has plenty of cabinets and counter space, an eat-in area and a breakfast bar. 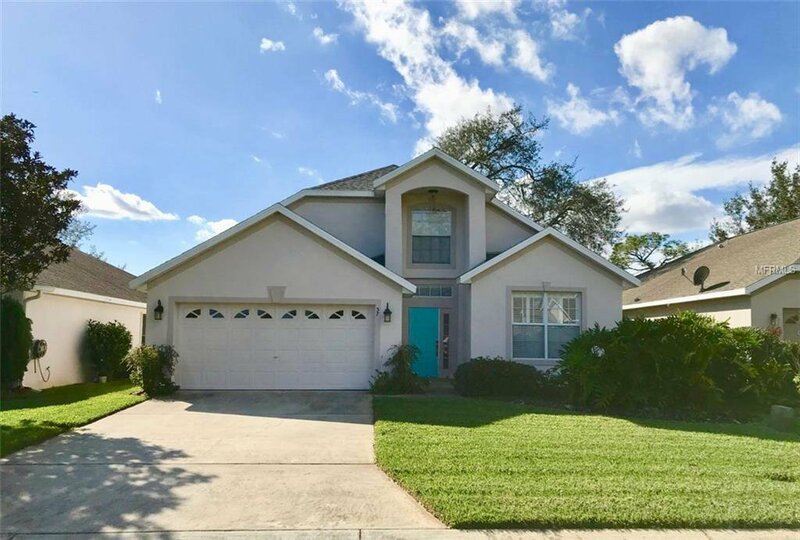 The family room leads out to a beautiful Florida Room (350 extra square feet of space not included in the 2,593 listed square footage) that has its own AC, built in cabinets and sink for entertaining and it offers an incredible VIEW of the golf course and a LAKE. The lovely Master Suite has two closets, double sink vanity, a garden tub and a large walk-in shower. The private guest suite is tucked away and has its own bath. Upstairs is a loft with room for a desk or sitting area and two spacious bedrooms that share a full bath. You will love this home, so don’t wait. Schedule your appointment to see it today! Listing courtesy of KELLER WILLIAMS HERITAGE REALTY. Selling Office: DEBARY REALTY.